Veneers are usually done to improve the shade of your teeth or to mask acquired/inherent staining of the teeth in your smile line. It is also done to close the midline gap, known as a diastema. 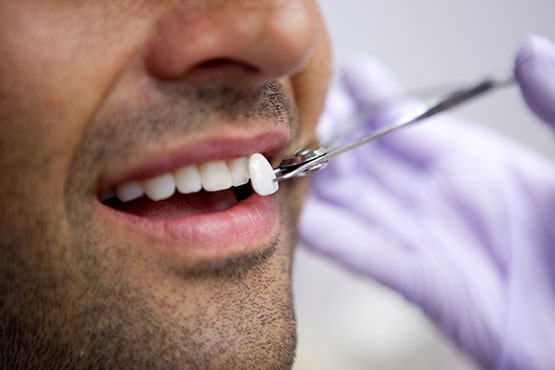 Direct veneers are done at the dental practice using composite material (same as for fillings). The teeth are minimally prepared and the composite facing is added. Indirect veneers are made in the dental lab using porcelain. This procedure usually requires two visits. Once the lab has produced the veneer it is then cemented/bonded to your tooth.